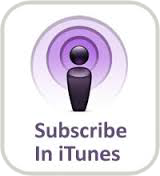 Recently, we talked about the topic of the godly relationship in the Life Garden School. Do you find it difficult to live out the good witness in your daily life? Do you receive or give out blessings more or curses more in your relationship? Is there any ungodly expectation and reliance? God has given us the responsibility to manage our own lives, time, physical virginity, money, responsibility, and emotions. What are the priorities in your life? How do you invest your life resources? There should be different levels of intimacy in our relationship. Different levels of intimacy, it would be giving your different resources. The more intimate, the fewer the number of people, because a person can give is limited. What is the most important and valuable thing in our lives? Is God the most closest one in your relationships. Philippians 2:2-5 "then make my joy complete by being like-minded, having the same love, being one in spirit and of one mind. Do nothing out of selfish ambition or vain conceit. Rather, in humility value others above yourselves, not looking to your own interests but each of you to the interests of the others. In your relationships with one another, have the same mindset as Christ Jesus"
"Be completely humble and gentle; be patient, bearing with one another in love. Make every effort to keep the unity of the Spirit through the bond of peace. There is one body and one Spirit, just as you were called to one hope when you were called; one Lord, one faith, one baptism;"
"and the parts that we think are less honorable we treat with special honor. And the parts that are unpresentable are treated with special modesty, while our presentable parts need no special treatment. But God has put the body together, giving greater honor to the parts that lacked it, so that there should be no division in the body, but that its parts should have equal concern for each other. If one part suffers, every part suffers with it; if one part is honored, every part rejoices with it. Now you are the body of Christ, and each one of you is a part of it." The day we gave our lives to Christ in submission to His will we received an invitation into a Kingdom and an upgrade in our identity and status here on earth. We were brought into a royal bloodline, we inherited a royal family. Our dad is a king, which then means we are King’s kids literally! Because we are now part of a royal family there are some things we must recognize? First, we now have been given a huge responsibility to represent where we are from. We have been given a royal responsibly to represent this kingdom to this earth on behalf of our father. Second, because we are from another kingdom we have all the resources of that kingdom available to us, and for us. Come On!!!! Paul explains this fact clearly when he says in Ephesians 2:19 “19 So now you Gentiles are no longer strangers and foreigners. You are citizens along with all of God’s holy people. You are members of God’s family. “We have been given great responsibility to represent our father in speech, character, and action. Part of the responsibility of royal people is the concept of honor. We as ambassador of Christ have a responsibility to establish the government of heaven here on earth. The government in heaven and its relationship are built on a foundation of honor. We find in exodus 20:12 that if we honor our parents we will live a long life in the land God as established for us. This scripture has messed me up. In this scripture we see a connection between honor and life. Where there is honor it creates life and establishes what God gives us!!!! Honor creates a passage way for life to travel and is the key ingredient to creating and establishing a kingdom culture. Where honor resides it creates life, freedom and as a direct result we now see everything God gives us, and every relationship we have begins to flourish, and grow. Honor is the currency of heaven. There are two cultures right now that are being established in the body of Christ. One is a culture of fear and the other is a culture of honor. You see where there is no honor people begin to fear and where fear is established people then begin to control. Honor naturally set up government. In God’s kingdom there are levels of responsibility and authority. All kingdom relationship work together through honor. The only way honor works is if there are levels of honor. Becuase of the levels of honor we are now able to honor those above us. Honor creates government. With that said, where there is no honor system, we have no kingdom government established and now people begin to fear and chaos takes place. Everyone fight’s for a place and position. Where honor is present there is also love and freedom. 1 John 4:18-19 “There is no fear in love; but perfect love casts out fear, because fear involves torment. But he who fears has not been made perfect in love.19 We love Him because He first loved us.” In a culture of honor there is love, and that love cast out fear. But in a culture of fear love is cast out. Where honor is present our relationship with one another grows, I’m able to love you and not fear you. I able to love you regardless of what you have down to me, regardless of us not agreeing on everything. Where honor is present I don’t fear what you are becoming and the anointing on your life, I rather encourage it, it is not a threat to me and I don’t fear it. In a culture of honor we are able to empower one another and the head of that culture desires you to be accomplish greater things then they have ever done. In this culture of honor you are free to be who you are in Christ and I do not fear that, I love the Christ in you. In a culture of fear there is no love or freedom. Because of the lack of love and freedom in our relationship, I begin to fear you and as a result I then control you and what you become. You cannot surpass me because I won’t let you. In this culture there is no empowerment. In a honor culture we are to walk out the model Jesus left for us. He first honored us so we now honor Him. In a fear base culture honor starts from the bottom going up but in never comes down to the people who first honored. In a culture of honor, the head first releases honor to those beneath him changing their status and drawing greatness out of them and in return they release it back pushing the head further into their God given destiny. The concept of honor is only possible through relationships. Each relationship with our brothers and sister in the kingdom is meant to be eternal and held together with honor. But we have allowed a worldly view of honor creep into our kingdom perspective. The world’s view is temporal and conditional. We give honor to those who deserve it, who have earned it, or those we want something from. There is a big problem with this, it’s not kingdom honor. In 1 Peter 2:17 it says “Honor all people. Love the brotherhood. Fear God. Honor the king”. We are to honor all people not just the ones we believe should have it or who have earned it. How can you say that? I didn’t, God did. You maybe asking yourself, how can I give honor to a dad who has abandoned me, to people who hurt me, to those I don’t like, the persons who let me down, or the person who has different views than me? Because when we release honor to all people, what we are declaring is that I am not letting my disagreements with you or your character defects control me. I have standards that will not be removed regardless of our disagreements and what you may have done to me, it will not control who I am. We think by not honoring it protects us but it actually does the opposite. It allows the person we feel that we can’t honor to control who we are, because we were meant to honor all people. We don’t honor people because they are honorable but because we are honorable!!!! Honor does not mean we agree with what they said or did to us. It just means we have a standard in our heart and we value them as a person created in the image and likeness of God. We honor the Christ in them. By honoring all people you are drawing the goodness God hid inside of them. Let’s honor one another and follow the pattern Christ left us here on earth. 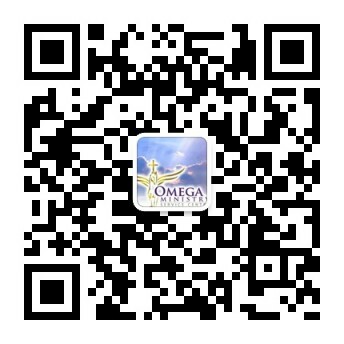 Omega Ministry is a Canadian registered Charitable Organization. Please fill out correct Canadian mailing address for the annual tax receipt. Thank you for your faithful support! God Bless you! Click to enlarge QR Code and Scan it to Following us at WeChat. 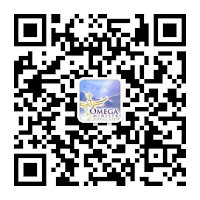 Copyright © 2013 Omega Ministry Service Center. All rights reserved. Powered by Blogger.